The Incredible Adventures of Van Helsing trilogy is an action-RPG series that's (very) loosely based upon the famed monster hunter who stirred up all sorts of trouble in Bram Stoker's novel Dracula. The original was released in 2013, while the sequels followed annually, and they were decent enough as these things go: Not the sort of games that threaten to steal Diablo's crown, but solid ARPG experiences with a little bit of a different twist. All of this is relevant because developer Neocore Games announced today that The Incredible Adventures of Van Hesling: Final Cut will be released on September 23. It's not a new game, but a repackaging of the trilogy featuring a number of big changes that will hopefully address some of the shortcomings that hurt the originals. "It merges campaign modes from all three games, takes away some of the redundant stuff, adds more exciting quests and creates an epic, long single player campaign. All the tower defense parts are in, all made optional now, but are highly rewarding nonetheless. 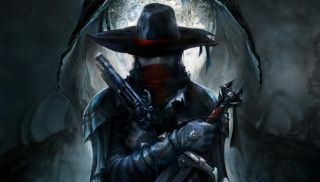 The game will be playable from the beginning to the end as all six playable classes introduced in The Incredible Adventures of Van Helsing III," NeoCore explained in the original announcement. "This means that you can reach level 80 with your character playing through over 50 hours of gameplay, but you can evolve up to level 100 and beyond with a Glory system in various other game modes, including multiplayer (4-player co-op mode, touchdown, arena, or battle royal), scenarios, daily quests, challenges and weekly events." Van Helsing: Final Cut was actually announced in July, but it's relevant today because now we have a release date and a trailer that digs a bit into what's coming. It's not yet listed on Steam, but NeoCore said it will sell for $45 as a standalone release. Given that the Van Helsing Anthology, which includes all three games in their original state plus some DLC, currently lists for $75, that seems like not a bad deal to me. Update: As you may have guessed, there's been a slight change of plan, as Van Helsing: Final Cut has been pushed back to October 7. That's the bad news; the good news is that who already owns the Van Helsing trilogy on Steam or GOG, or buys it at any point in the future, will get Final Cut for free.